Today’s alumni update also serves as a conclusion to the story shared from 2015-17 by McKenzie Smith, who completed the MIB program. While still in her final semester, about a year ago, McKenzie hadn’t nailed down her post-Fletcher job securely enough to write about it and her story remained unfinished on the blog. Today’s post wraps it all up! In March 2017, just two months before graduating, I signed an offer to join Omidyar Network upon graduating from Fletcher. At the time, it was a huge relief. Like many of my classmates, I’d made a bet on Fletcher and the MIB program — a relatively new, non-traditional business program — and up until that moment, I wasn’t 100% positive it would pay off. Thankfully, it certainly did! Today, as a member of Omidyar Network’s impact investment team, I spend much of my time addressing the biggest opportunities and barriers to accelerating the growth of impact investing. What this means in practice is that my work is spread across a diverse array of influence projects; research initiatives; and sourcing, due diligence, and evaluation of investments in organizations helping the impact market function more efficiently. I’ve just passed my one-year mark, and already it’s been an exhilarating experience. On the personal side, I’ve had the flexibility to travel back and forth between my new home in San Francisco and Washington, DC, where in addition to working with Omidyar Network teams there, I get to catch up with many friends from Fletcher who moved to DC after graduation. 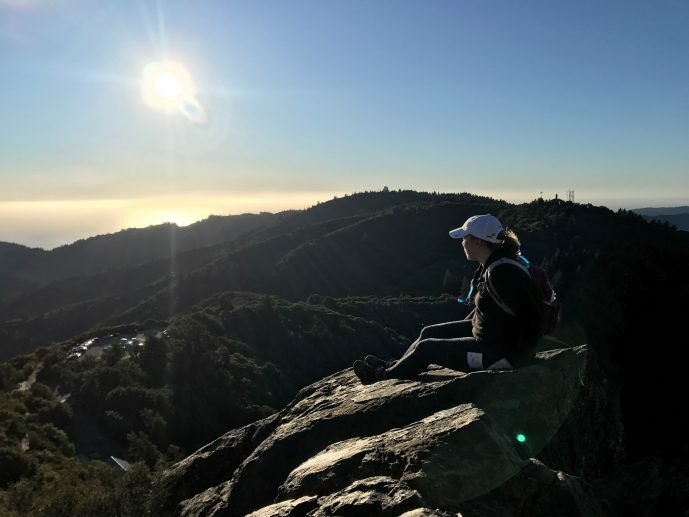 Back in California, I’ve taken advantage of opportunities to be outside year-round and see much of the natural beauty that the Bay Area has to offer. Looking back, I’m convinced that none of this would have been possible had I chosen not to take a chance on Fletcher. As I mentioned in my annotated curriculum, I pursued courses and activities that complemented my pre-Fletcher background and ultimately positioned me to join an amazing team. I walked the Fletcher halls and sat in classes alongside aid workers, bankers, veterans, entrepreneurs, consultants, and development practitioners, whose diverse experiences armed them with insights and opinions that pushed my thinking. I seized opportunities and built relationships with professors who wouldn’t have been as accessible at a large, traditional MBA program. In fact, it was a relationship with a professor that I forged through my role leading the Fletcher Social Investment Group that ultimately helped me land the job at Omidyar Network. Since joining, I’ve been fortunate enough to meet and work with pioneers in the impact investing field. And increasingly, those helping drive the industry forward are not only people I know from industry events and partnerships, but more and more, they’re also my Fletcher classmates! Which brings me to my last reflection: Fletcher alumni working in impact investing are a small but slowly growing group. Each of us took a chance on Fletcher and leaned in to make the most of our time there — and like any grad student, at some point or another, each of us probably wondered whether that chance would be worth it. For me, Fletcher’s unique blend of business and international affairs, the opportunities to lead student teams and organizations, and the flexibility of the curriculum helped me make my degree work for me. There’s a saying that Fletcher helps you get your dream job…five jobs in. If this is what my first job out of school is like, I can’t wait to see what the future has in store!